As an American I get the best of many worlds in terms of food – we have a diverse immigrant culture in the United States and nearly every small town has its token ethnic restaurants: Thai/Indian/Middle Eastern/Mexican/Italian/Cuban. On the flip side, those mom-and-pop shops are perched alongside America’s huge national restaurant chains often serving up barely seasoned, run-of-the-mill generic dishes designed to appeal to the masses. For years I considered food a mere accessory to my day, a pretty little add-on, often just a pesky necessity and rarely the focus. Then I left the US and tasted food. Fresh foods, foods unaltered by hormones and chemicals, local dishes seasoned with another culture’s palate in mind and so different from anything I had tasted before. The foods had new spices and textures, new ingredients in combinations I had never seen. Globalization means I knew what Indian palak paneer tasted like before traveling to India, but fresh Indian paneer made the very same day it hits your taste buds? Now that’s a different experience. So it’s with this in mind that I landed in Jordan with enthusiasm; the country’s national dishes and traditional flavors take a strong influence from neighboring Arab countries as well as the country’s heavy Bedouin culture and the result is a blend of flavors so delightfully different from the foods and flavors of Southeast Asia that my taste buds excited at the thought of ten days in the Middle East. Jordan welcomed me warmly where the food was concerned; my vegetarian concerns dropped down to merely mildly present and with the meaty concern gone I was instead able to pay closer attention to the flavors in each dish and drinks. 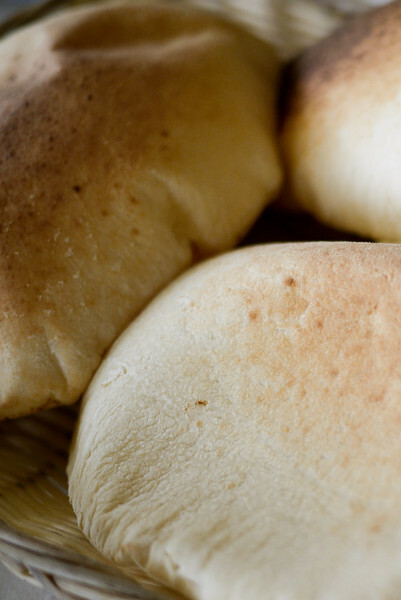 Journey with me through a complete breakfast meal featuring a handful of Jordanian flavors and foods you may have tasted before, and may even sample regularly, while other dishes may be as new to you as they were to me! Jordanians partake in their lemon and mint drink with a fervor and I had this drink each and every day – sometimes twice a day! As a native Floridian, I know my citrus well and the tart and tangy flavor in Jordanian mint and lemon drinks is refreshing in the warm Jordanian climate. The lemon drink is much like American lemonade but instead served with liberal amounts of finely ground mint mixed into the drink – offsetting the overwhelming tartness of some standard lemonades. This drink is, in a word, delicious; as the heat soars in Jordan the lemon and mint was a refreshing summer drink and a yummy way to start each meal. Discovering za’atar has, quite literally, opened my eyes to new flavor possibilities. I have sampled traditional Middle Eastern foods before but have never isolated the flavors in the way I was able to throughout Jordan. 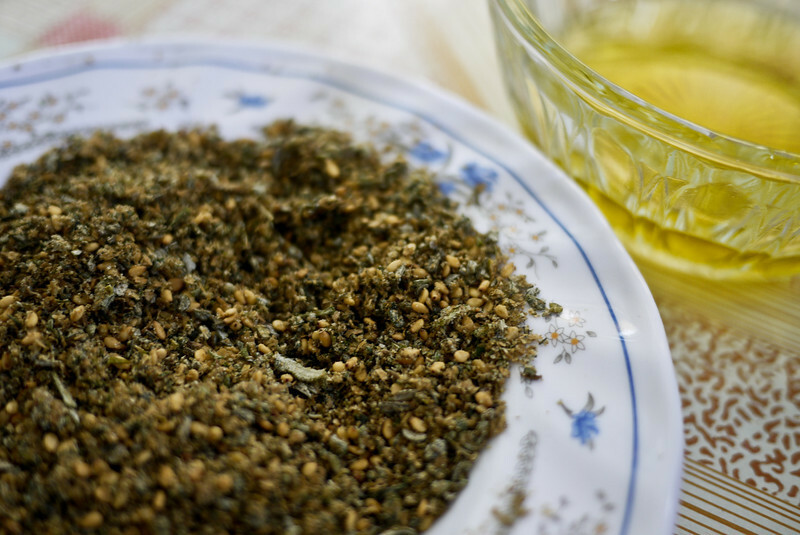 Za’atar is a seasoning used throughout Arab cuisine and is composed of a combination of any or all of these ingredients: thyme, savory, oregano, sumac and sesame seeds; the ingredients are then blended together into a single spice mixture. 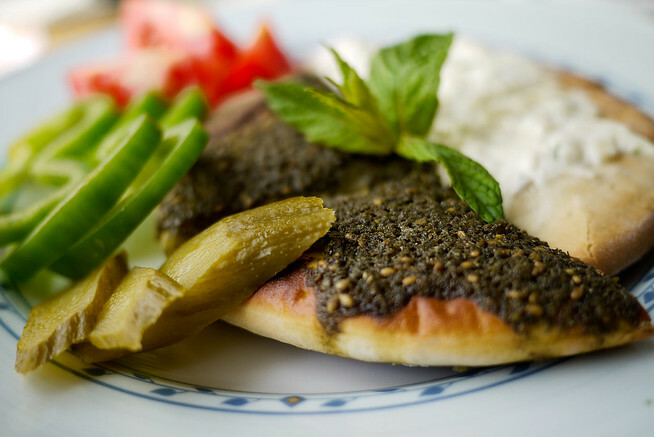 Za’atar is used for sprinkling on dishes that need a little extra pep, particularly delicious on labneh! Jordanians liberally use this spice mixture throughout their cuisine and my favorite za’atar dish was manakish, a baked flatbread dough (much like pizza dough) traditionally eaten for breakfast because it’s simple, quick, and easy to prepare. The za’atar spice mixture accompanied my every meal in Jordan and added bursts of strong, intense flavor to the mezze (appetizers) and main courses. 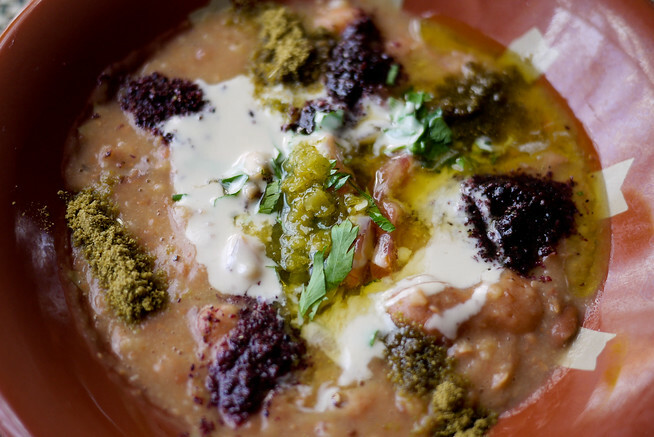 My love of foul mudammas (also spelled ful medames) started on day one in Amman, Jordan. It’s not even that sophisticated of a dish, but I love it anyway! Mashed fava beans start the base of this dish and from there the fun begins as the local tastes dictate what toppings you’ll add to the foul. On the best days the dish is an absolute riot of flavors as several veggies and spices are sprinkled artfully on top before dousing it with a healthy portion of locally grown olive oil. Close up of foul (ful) mudammas: the base is mashed fava beans, with cumin (yellow seasoning), sumac (purplish spice), tomatoes, and parsley. Food just tastes better when the ingredients are so close you could drive couple hours to find them, and this is the case with foul. Tomatoes and parsley add extra texture to the beans while two classic Middle Eastern spices round out the dish, sumac and cumin. 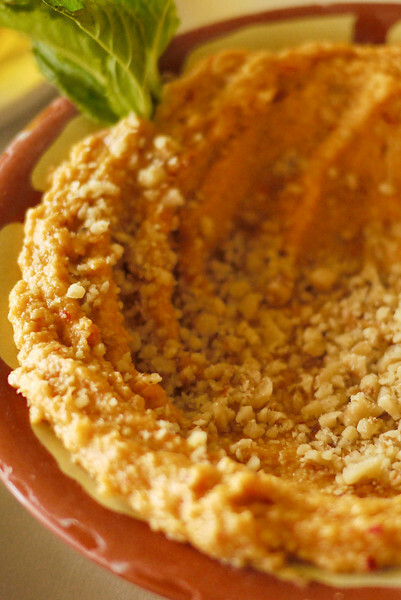 The inherently warm and nutty flavor of cumin couples artfully with sumac’s signature lemon zest to create a dish that takes your taste buds on a roller-coaster with each bite. 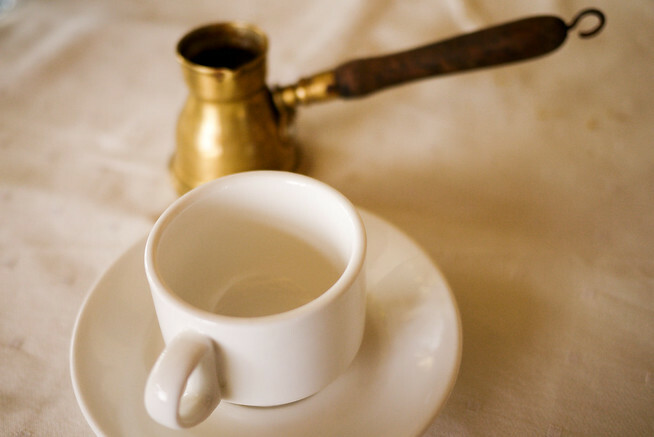 Following up every single meal, including breakfast, is traditional Arabic coffee. Influenced by the Bedouin, or rather desert dwelling, culture throughout the Middle East, a cup of coffee most often comes with a bonus of mouth-tingling cardamom flavors. Cardamom is a spice used throughout India and the Middle East and up until this point I distinctly associated the spice with two countries: India for it’s tangy and flavorful sweets, and Guatemala for it’s gritty and overpowering traditional Mayan chocolate. I’ll delve deeper into the traditional Bedouin coffee-making process later, but suffice to say cardamom is an assault to the senses for the unprepared and the uninitiated. You could never describe it as mild and it instead straddles the line between a minty coolness and breathy menthol flavor that packs a powerful punch of flavor into every sip of coffee. Looking at the foodie cultures all over the world, Jordan holds it own nicely and was a welcomed transition from Thai food. The past five months I lived in Chiang Mai were spent sampling foods and flavors from all over Thailand –spicy curried soups, sweet and spicy salads from the Burmese influence in the north, and many, many soy-sauced vegetable creations. Thailand provided range of flavors for any mood but with regional and cultural limitations – if the plants, fruits, and herbs aren’t grown in the region, then the chance of finding them in traditional Thai dishes is quite low. My first few days in Jordan took me right back to childhood – until you remove flavors from your palate you forget what a child feels in that first moment as a strange and strong flavor overwhelms their taste buds; the sensations and wonder. And for adults, the memories pulled from the recesses of your mind can snap into focus in an instance when you taste a familiar flavor. If smell is the most powerful of our senses, surely taste comes second? Or perhaps rides hand and hand where food is concerned? What is your favorite palate of flavors and do you have any strong memories associated with those flavors? I traveled through Jordan as a guest of the Jordan Tourism Board, my trip was fully sponsored, but all of the experiences, photos, inspiration and opinions are solely my own! If you’re reading it here, then it’s my truth. meat eaters miss. :) Thanks for popping in! really love these shots… so well done. I have been reading your post on Jordan, and I am really glad tourist are enjoying it here. Wow – we keep saying that Jordan is high on our destination wish-list but had no idea that the food was so scrumptious – yum!! The mint and lemon looks so refreshing! What I hate is when people are discouraged from trying different foods. I am more than will to try almost everything at least once. I love your posts on Jordan! Especially if they involve food, these photos and descriptions are delicious! This is a really great post, Shannon! 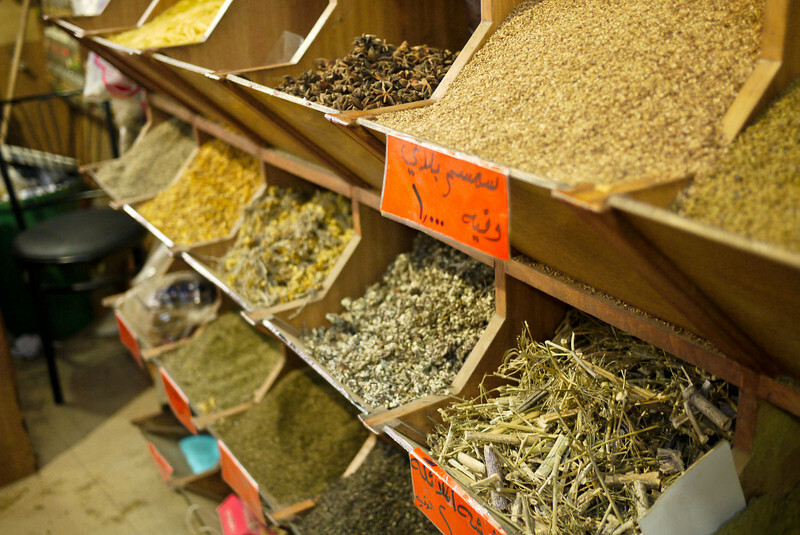 Great insight into the flavours of Jordan. Why why WHY did I never come across that mint and lemon drink while I was there? I think I have to go back just for that. I had 7UP each day…no one ever told me there was an alternative!! I’ve actively been seeking out falafel since I got back to Sydney especially now that I’m briefly working in an area that has loads of Middle Eastern restaurants. 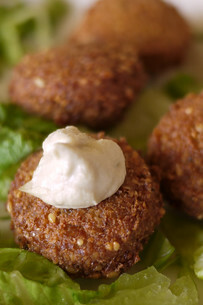 If it’s good falafel it takes me right back to Hashem in Amman. Your photography is absolutely gorgeous! Very interesting post about flavors. I really need to expand my palette. I just drooled on my keyboard. Like, a lot. I’m venturing to Jordan in September and as a veg myself this post makes me beyond excited. Yes please to all of the above. All those tropical fruits flavors make me recall my days traveling in south america. Wow, that all sounds great, except for the cardamom coffee. But then again, I don’t like coffee in the first place. heh. I’ve never really gotten much into middle eastern food, but this makes me want to. it. What sort of sweets is it most common in? 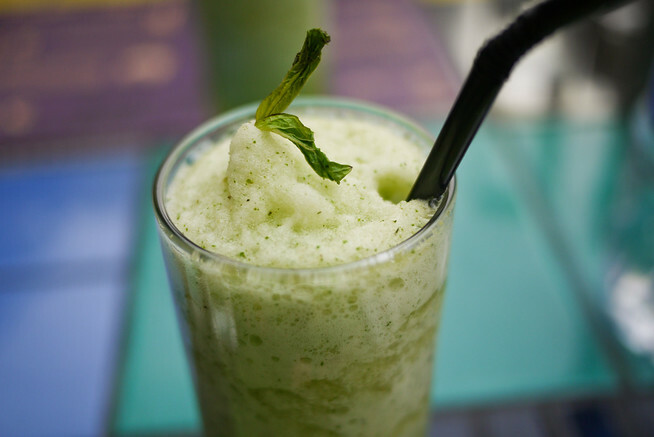 When I was in Israel last year, I drank the lemon/mint slushy concoction whenever I could find it! It was delicious! Great post! Nice food photography Shannon, the lemon mint drink looks fabulous. Well thanks Ayngelina, that means a lot :) And it was fantastic, if you have a blender at your new place I recommend trying it out! Looks amazing–gorgeous photos! I would have never thought of Jordan as a foodie destination, but I certainly am now! Just looking at the photos made me hungry for anything Mediterranean. It has been awhile since we indulge in food with proper spices in them. Great foodie post, Shannon and your pics are superb! (you had me drooling from the get-go, and frantically Googling for Middle Eastern restaurants here in Left Seattle.) I’m especially intrigued with the “foul mudammas” – I first tasted fava beans in the (Portuguese) Azores and loved them. I just likewise Googled for “foul mudammas” recipes. Turns out it’s generally a combo of both favas and garbanzos, and quite easy to prepare. Thanks for turning me on to another global taste treat that I can make right here at home! I really appreciate that (I’ve been working on my photography as of late! :) Hope you found a good Middle Eastern restaurant – the foul is a really good dish for breakfast, it was hearty yet tasty, so I hope the recipe works out for you, it’s good enough to experiment a bit until you get something you like!